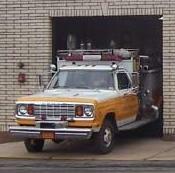 Engine 54-40 is a 1978 Dodge mini pumper. 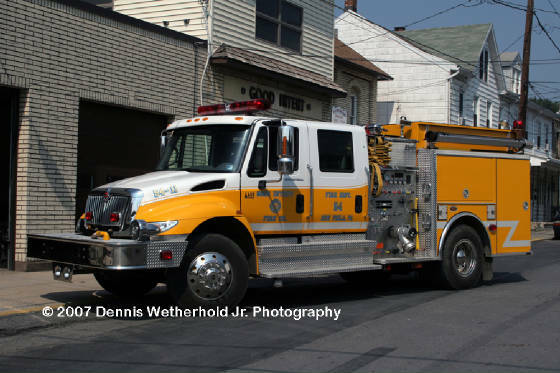 This unit has a 400gpm pump and carries a variety of brush fire and stuctural firefighting equipment. 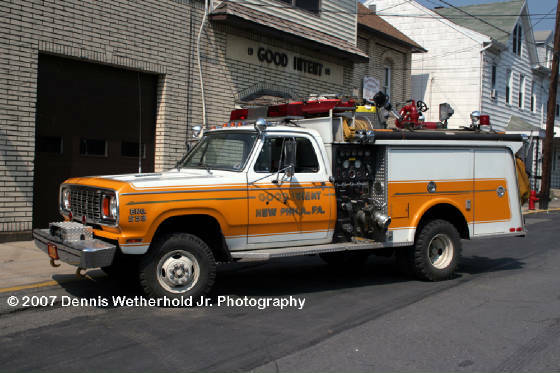 Previously this engine carried liht rescue tools and responded to all motorvehicle accidents and rescue calls. That equipment was transferred to engine 54-11. The hose bed contains 500ft of 2 1/2in supply line, two 1 1/2in preconnect crosslays, and a hosereal with 250ft of trashline. 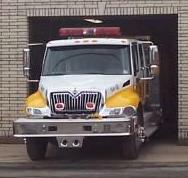 Due to it's four wheel drive and size, 54-40 responds to all brush fires and off-road incidents. It is also equipt with a stokes basket, winch, and foam tank. 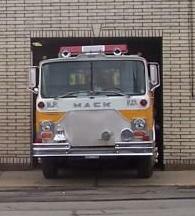 Engine 54-12 is a 1977 Mack CF series 1500gpm pumper. 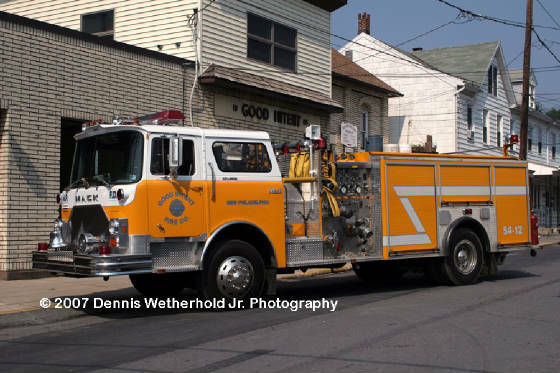 This unit has been in service since 1994 and was New Philly's first due engine untill 2004. 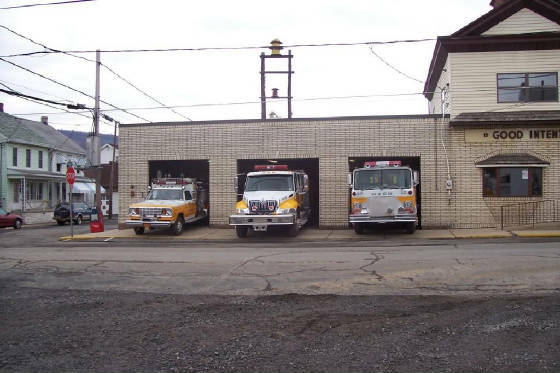 54-12 carries a lage variety of structural fire fighting equipment includeing hand tools, ladders, AFFF, portable pump, salvage tarps, first aid/BLS suplies and some rescue tools. The hosebed contains 1000ft of 4in supply line, 2 1/2in rear preconnect, and two 1 1/2in crosslay preconnects. This engine is also equipt with a front suction and prepiped deck gun. Engine 54-11 is first due on all structure fire, vehicle accident, and rescue calls among others. The 2004 KME 1000 gpm pumper is equipt with a foam tank, light rescue tools, hand tools, first-aid/BLS supplies, multi gas monitor, and structural firefighting equipment. There is 1000ft of 4in supply line in the hosebed, two 1 3/4in crosslay preconnects, and a 1 3/4in preconnect in the extended bumper. The cab of this unit seats four plus the driver and all passenger seats are air pack seats.